Move right in to this beautifully designed atrium ranch! 5 bedrooms, 3 full and 1 half baths in this open floor plan featuring plantation shutters, wood floors, 2 gas fireplaces and plenty of natural light. Enjoy cooking and gathering in the gourmet kitchen with center island, quartz counters, stone & glass backsplash, gas cooktop, double ovens and walk-in pantry. Nicely sized adjacent breakfast room with newer Pella sliding door leading to deck and fenced backyard. Master bedroom suite features LARGE walk-in closet and master bath with granite, double sinks, and heated floor. Second main floor bathroom is beautifully updated with granite, double sinks and tiled tub/shower. The finished walk-out lower level provides wonderful entertaining space in the recreation room and media room plus 2 additional bedrooms and full bath. Large main floor laundry with utility sink. 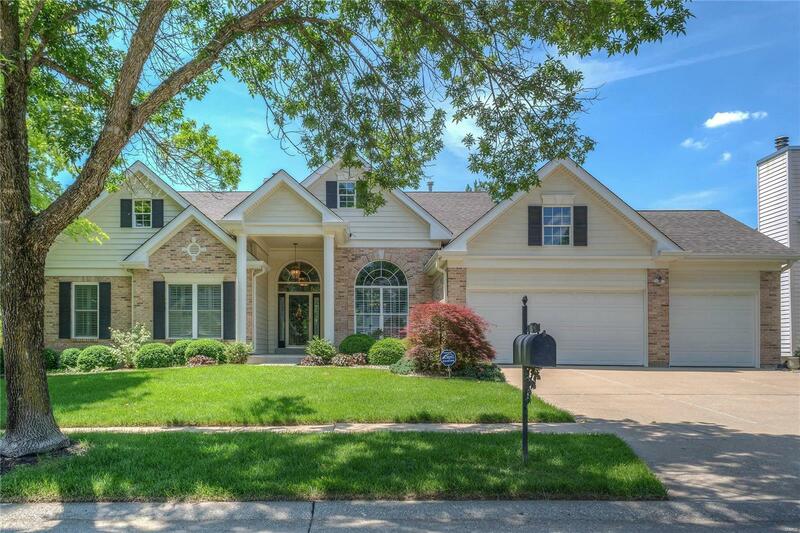 3 car garage, security & irrigation systems, newer Pella windows. Award winning Rockwood Schools. CONVENIENT LOCATION! !